These pictures are not for the squeamish! 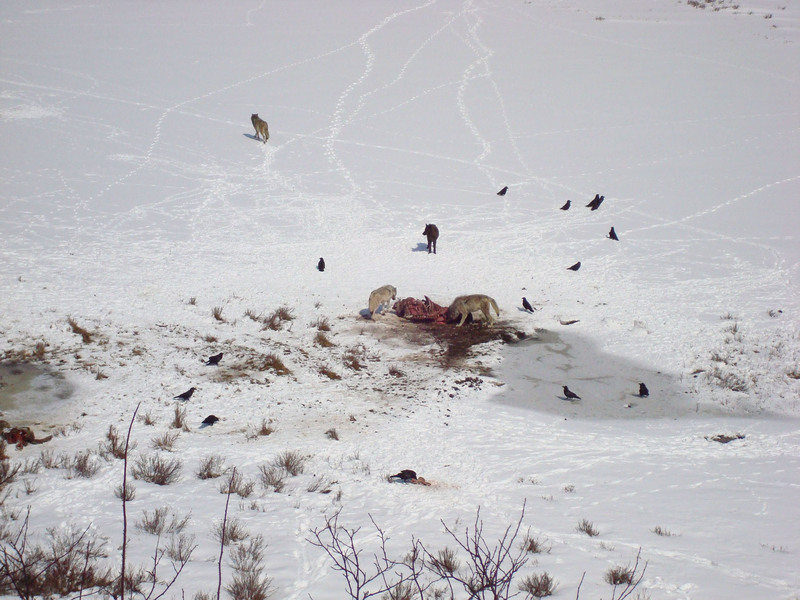 We were headed into Bozeman to celebrate our 5th anniversary and came across these wolves working on a bison carcasss right near the road at Blacktail Lakes. 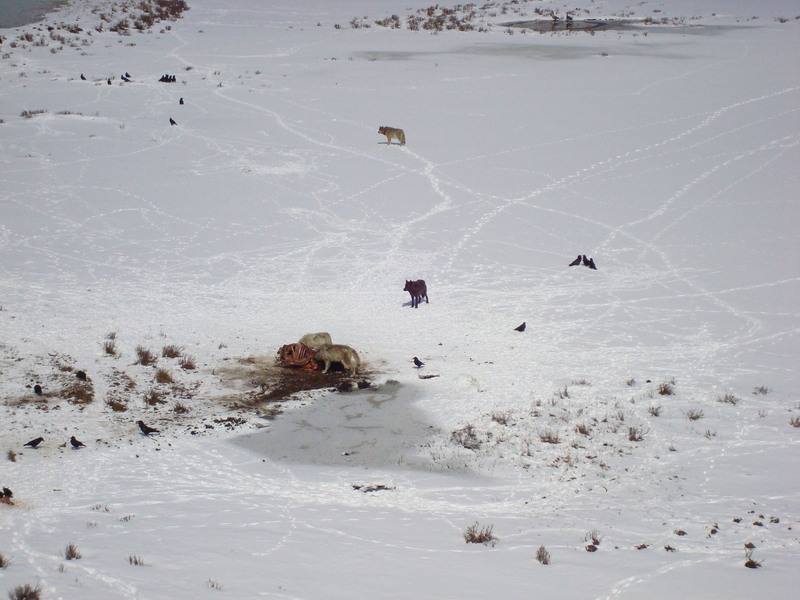 It is not unusual for an animal to enter one of these small lakes and not be able to get back out. To zoom in, hover over the picture and click the link that appears.